As I rushed to the 7-Eleven around the corner from my house, I had a plan: I wanted to be the first to grab a copy of Mad Max: Fury Road on Blu-ray from the Redbox kiosk parked out front. Success! I ran home and parked myself in front of the TV mounted above my main system for the rest of the evening. I’d just set up a pair of Monitor Audio’s new Bronze 6 loudspeakers beside my reference speakers and was eager to hear what they could do. George Miller’s newest effort was purported to be a masterpiece, and I’m a longstanding fan of Tom Holkenborg, aka Junkie XL, who composed the film’s score. I slipped the disc into my Xbox One and pressed Play. What happened next was wholly unintentional. 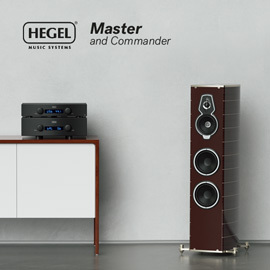 I reached for the remote of my Hegel Music Systems H360 integrated amp and ramped up the volume. Then I did it again. And again. And then once more. I became so engrossed in the film’s frenetic pace, monstrous soundtrack, and utterly bonkers visuals that when end credits rolled, there I was in an otherwise empty room, applauding. I was exhausted. I looked at the Hegel. 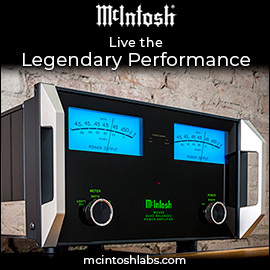 Its digital volume display read “75.” The maximum setting is “99.” Never before had I pushed the 250Wpc amp that high, let alone with a pair of 90dB-efficient tower speakers costing just $1099 USD per pair. I was sure I’d punished -- violated -- the Monitors. But no -- I hadn’t blown them up. Nor, during all of Fury Road, had I heard a hint of compression. These, I thought, are phenomenal speakers. I’ve seen Monitor Audio speakers at many trade shows. I’ve always thought they looked dour, and that the Bronze line was the most humorless of the bunch. But, as ever, looks can be deceiving. When I toured Monitor’s headquarters in fall 2014, I came away mightily impressed. 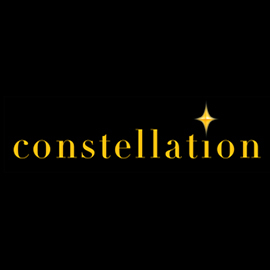 The company is rich in experience and technical expertise, and seems genuinely excited about making affordable loudspeakers that look and sound as good as they can. I spent a lot of time in Monitor’s listening room with their Silver and Platinum ranges, but during my visit the Bronze models were still undergoing final testing. The Bronze line runs seven models deep: the Bronze 1 bookshelf ($399/pair), the 2 bookshelf ($499/pair), the 5 tower ($829/pair), the 6 tower ($1099/pair), the Centre ($299), the FX surround ($499/pair), and the W10 subwoofer ($729). All models are available in a vinyl finish of Black Oak or Walnut -- my review samples were clad in the latter. 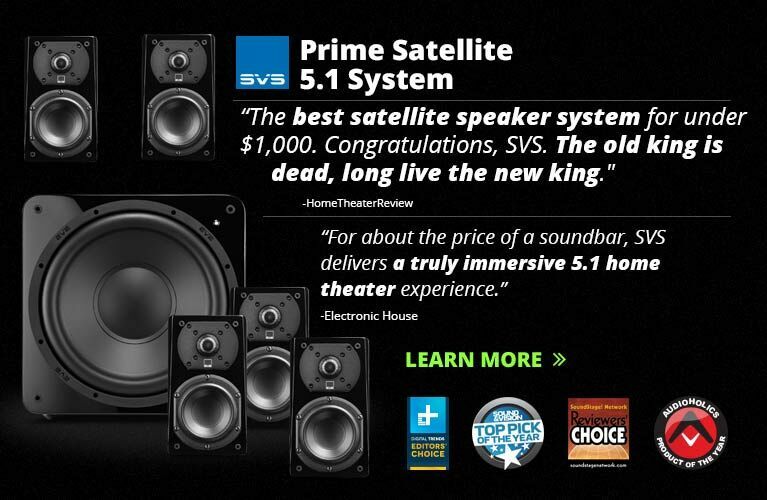 I have innate aversions to black finishes and to reviewing anything other than the largest speaker in a given line. Therefore, I knew precisely which Bronze to request, and what it should look like. Your $1099 buys you a lot. The Bronze 6 comes double boxed, with plinth, spikes for carpeted floors, rubber feet for hard floors, foam bungs for its front and rear ports, and a magnetically attached grille -- the grilles I immediately ditched. Use of the plinth is optional -- the spikes and feet can also be inserted directly into the bottom of the 6’s cabinet. The 36-pound speaker stands 40.69”H x 9.2”W x 13.7”D (all dimensions include the plinth). Compared to Monitor’s Bronze BX series, which the new Bronzes replace, the bracing has been improved to fortify points of weakness and resonance. The Bronzes are also handsome, with no visible bolts or screws on their front panels. The Bronze 6 is a bit more sophisticated than the generic folded-box designs that dominate this price point -- its entire front panel, which has rounded corners, appears to snap into the rest of the cabinet. The rear panel is trimmed in the vinyl finish but is largely black vinyl, with two pairs of five-way binding posts (for biwiring and biamping) and their jumpers. Tolerances were tight, with only a small plastic accent placed slightly off-center at the top of one speaker. Otherwise, I was amazed at how impressive the Bronzes looked. The Walnut vinyl was excellent, and could easily pass for hardwood from a few steps away. The black and silver accent rings around each of the four drivers give the Bronze 6 a sophisticated look, aided by the subtle scallops in the bottom of the tweeter accent, and the top of the front HiVe II port, which opens just below the lowest of the three 6.5” drivers. Each Bronze 6 has two such ports -- the other is on the rear. Monitor describes their HiVe II port design as having “a straight rifled design to accelerate air flow and reduce turbulence.” The company’s technical director, Dean Hartley, told me that this is to maximize in-room flexibility, giving listeners the ability to use the plugs for the front or rear port. However, he cautioned that the 6 was not designed as a sealed-box speaker: plugging both ports is not advised. The four-driver, 2.5-way Bronze 6’s specifications are impressive for its modest price: a frequency response of 34Hz-30kHz, an efficiency of 90dB/W/m, a nominal impedance of 8 ohms, and the ability to handle up to 150W RMS. All four drivers are made of Monitor’s patented C-CAM material (ceramic-coated aluminum magnesium): a 1” tweeter, a 6.5” midrange-woofer in its own sealed compartment, and two 6.5” woofers. The tweeter is an entirely new design that replaces the one used in the Bronze BX range, with rear venting, rear chamber loading, a neodymium magnet structure, and bolt-through bracing: the driver is affixed to the rear of the cabinet. The midrange-woofer has a very short voice coil and a different motor structure from the two woofers, which have longer voice coils and significantly heavier assemblies, to maximize excursions. The three 6.5” cones lack traditional outer rubber surrounds; instead, each “sits” on an inverted surround that underlies the cone. These three drivers, too, are bolted to the rear of the cabinet. The tweeter hands off to the midrange-woofer at 2.5kHz via a second-order, 12dB/octave crossover. The bass drivers have a low-pass filter at 150Hz, also second-order. These crossovers have core inductors of high-grade steel and custom-made polypropylene capacitors. The last spec of note is my favorite: The Bronze 6’s maximum output is 114.8dB at 1m, per pair. Serious business. To do their serious business during their visit here, the Monitor Bronze 6es partnered some serious electronics: Parasound’s Halo Integrated DAC-integrated, Hegel’s H360 DAC-integrated, and Benchmark Media Systems’ AHB2 amplifier and DAC2 DX DAC. Wiring everything together was DH Labs’ Q-10 Signature speaker cable and Silversonic USB link; and with Benchmark’s gear I used their dedicated Studio&Stage XLR interconnects. Setting up the Bronzes was a breeze. Using the supplied Allen key, I bolted the plinths to the speakers in a couple minutes, and plugged in the rubber feet so as to keep my hardwood floors unscratched. I placed the Monitors 18” from the front wall -- a necessity in my narrow city home -- about 8’ apart, and toed them in about 20 degrees. After a few minutes’ listening, I decided to plug the rear ports to minimize a spot of boomy bass, no doubt accentuated by wicked room modes caused by the length of my room. The music accompanying Mad Max: Fury Road (16-bit/44.1kHz FLAC, Sony Music) is, in a word, spectacular. In an interview, Holkenborg said that his intention was to create a rock opera for 2015. His music is a primal, visceral experience that perfectly suited the Monitors’ talents. Overall, the score is as brooding and deliberate as it is deeply rhythmic and pulse-quickening. Unlike many popular soundtracks, which sound as if the microphones have been placed smack in the middle of the orchestra, Holkenborg has miked his opera quite closely, lending it a more immediate sonic profile that relies little on reverb. The former DJ’s efforts simply exploded out of the Bronzes’ stylish cabinets. “Blood Bag” is a brief but gloriously cacophonous cue that opens with a thunderous volley of drums. Capturing the scale and impact of such music is vital, and the Bronzes delivered big. First and foremost, the 6es had a big, überdynamic sound. The drums, which Holkenborg played himself, and presumably layered on top of another, had a real sense of pace, each thwack easily discernible and marked by rapid transient decay. The worry with inexpensive speakers is that their bass can sound plodding and amorphous, with little impact other than the one-note quality you’d expect from a cheap home-theater subwoofer. No worries -- the Bronze 6 had strong, virile output down to around 40Hz, after which it quickly rolled off. The 6es’ bass performance checked every box: fast, articulate, punchy without being fulsome or overbearing, and reasonably deep without losing control. I played “Blood Bag” about a dozen times for its first 30 seconds alone, and my satisfaction never waned. Nor did the Monitors ever begin to compress or sound strained, even at uncomfortably high SPLs. To my mind, “Brothers in Arms” is the standout track on the Fury Road soundtrack. With a platoon of drummers pitched directly at the center of the soundstage, flanked by manic string sections in both channels, and a complement of edgy synths to add grit and edge, it builds from a dark, raucous mess to a beautiful, uplifting melody on strings. A couple minutes in, the brass join the fray. The Monitors soundstaged superbly to re-create the explosive nature of the proceedings, with coherent, convincing center fill, precise imaging, and a surprising sense of depth. The Bronzes were all-action performers, with a lively, immediate personality. Their reproduction of the midrange was quite strong, especially for a 2.5-way design; the strings and brass in this track were reproduced with crystalline clarity, crisply and concisely. Though mostly neutral, the Monitor’s frequency response hinted at some clever contouring, with a slight mid-to-upper midrange emphasis that produced an exciting, involving sound. This speaker was decidedly not reticent or mellow, but the balance Monitor has struck in the Bronze 6 was spot on. So, too, was the performance of that C-CAM tweeter. The speaker’s treble response was clean and extended, without glare or brightness -- but here, too, there seemed to be a slight emphasis in the lower treble that produced commendable sparkle and spaciousness. Combine these with its bass performance, and the Bronze 6’s sound was consistent and well integrated from top to bottom of the audioband. The speaker did nothing wrong -- which, in light of the price, is a tall compliment to Monitor’s engineers. Take Adele’s monster power ballad, “Hello,” from her new album, 25 (16/44.1 FLAC, XL). True to form, it’s mixed pretty hot. Adele’s voice imaged perfectly between the 6es -- its delivery could have cut glass. Direct and incisive, the power of her voice shone through with remarkable definition, as the leading and trailing edges of her voice had a start-stop quality that demonstrated terrific control. 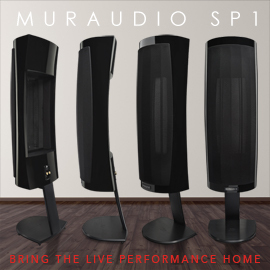 There is no abundance of warmth, bloom, or body in the recording, and overall, there wasn’t in the Monitor’s reproduction of the midrange -- but neither did the Bronze 6 sound lean or lightweight. What I heard in “Hello” was abundant transient detail -- Adele’s every inhalation, rapid change of pitch, and breathily delivered word was easily audible. More impressive was the three-dimensionality of her aural image. I wouldn’t have guessed that the Monitors possessed enough delicacy and finesse to conjure up a convincing facsimile of Adele in my living room . . . and there she was. I had no direct competitors of the Bronze 6 on hand -- no GoldenEar Technology Triton Seven, no SVS Prime Tower -- but I do own a pair of KEF LS50 bookshelf speakers ($1499.99/pair). 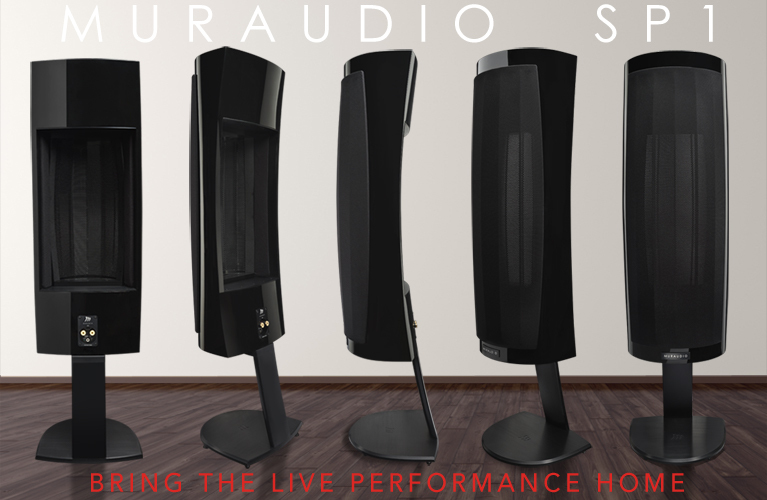 With its coaxial Uni-Q driver, exceptional tonality, rock-solid imaging, and terrific build quality, the LS50 became a classic loudspeaker almost as soon as it was launched, a few years ago. Short of limitations in bass response and output that are wholly commensurate with its small size, the LS50 produces some of the best sound available for under $2000/pair. Compared to the Bronze 6es, the KEFs produce a sound that is more cultured, sophisticated, and effortless. The Monitor’s sound is more crisp, the KEF’s more delicate. The LS50’s tweeter sounds more refined, with a smoother, more extended delivery. Adele’s voice in “Hello” emerges from a deeper, darker background through the LS50s. Similarly, the KEF’s midrange possesses a more tangible density and a silkier feel, contrasting with the Monitor’s slightly coarser, workmanlike sound. On the other hand, the Bronze 6’s immediacy made the LS50 sound a bit subdued by comparison. The snap, vibrancy, pomp, and circumstance of the Bronzes’ electric sense of pace is dialed back by the more gentlemanly KEFs. Moreover, the scale of the Monitors’ sound was broader, thanks in large part to their more substantial, faster bass. Considering that the Monitor costs $400/pair less than the KEF, doesn’t need a stand, and can play far more loudly, the Bronze 6 would be my choice for all but the smallest listening spaces. The KEF may be exquisite for what it can do, but short of the lowest octave of bass, the Monitor did everything very, very well. 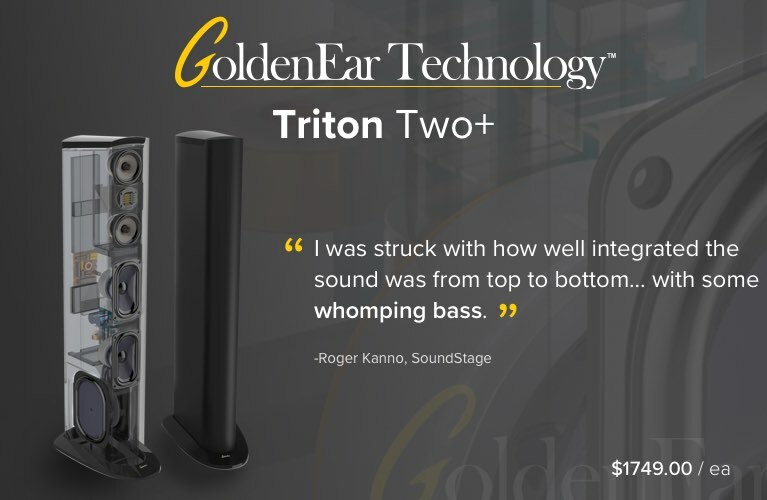 When speakers costing under $1500/pair do a minimum number of things wrong, they have really achieved something. To my ears, Monitor Audio’s Bronze 6 is near faultless. Its build quality and appearance punch above the asking price, while its exciting, dynamic sound makes every listening experience memorable. Taut, punchy bass, broad soundstaging, a clean, articulate midrange, and remarkably composed sound at high SPLs make the Bronze 6 an easy recommendation. Although it shared time in my system with KEF’s LS50s ($1499.99/pair) and Definitive Technology’s Mythos ST-Ls ($4999.90/pair), it was the Bronze 6es that I most enjoyed listening to during their stay here. This killer loudspeaker is a high-water mark of audio value.